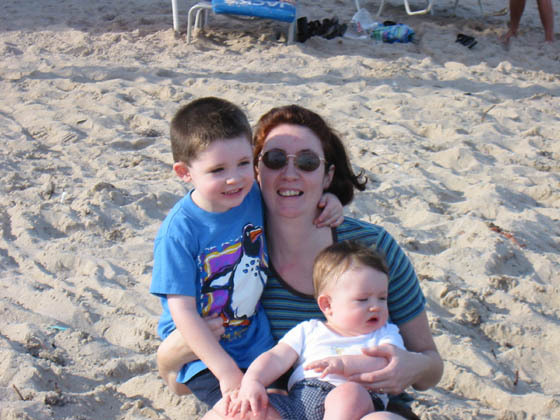 A wee picture of Ellie, Gordon & Liam on the beach at Fort Lauderdale on-the-beach. It was about 85°F, and Gordon was too scared to go into the water, c'est la vie. The hotel, Holiday Inn, was one street back from the beach, a great location, in a great neighbourhood. Coincidentally, it was Superbowl Sunday, the New England Patroits beat the widely favoured St Louis Rams in the dying seconds of the match.